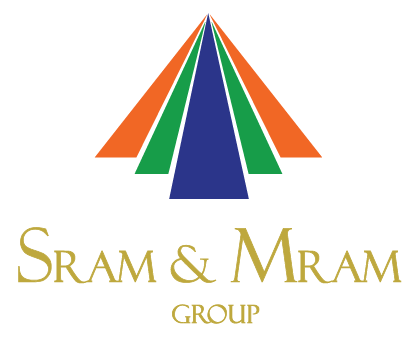 SRAM & MRAM Groupis an exclusive provider of All-In-One Playout and Broadcast Automation Software solution. The software is the Broadcastingand Playout Solution for any Small, Medium, Large Terrestrial or Web & IPTV Station. Awell-structured UI is accompanied with features required for seamless daily workflow. Italso provides live streaming services at affordable price. SRAM CDN Pops are located all aroundthe world, with constantupgrades and expansions in the CDN network in order toaccommodate increasing market demand. For the Delivery platform our Developer Team integrates the Player in the respective website to make the Video constantly available on all Devices. SRAMCDN offers live streaming services at 5 cents per GB. An efficient content delivery network (or CDN), at any instance, based on user requestsfor live content, will deliver it from the closest server to minimize bandwidth requirements andprovide the smoothest video stream possible. Geo blocking (You decide the region of presence of your live content). Domain locking (No unauthorized viewing and complete protection of your content). SRAM CDN New features recently. SRAM makes the combined availability check of any given stream, analyses it and finds bottlenecks. The check over is performed via distributed network of checkpoints where each checkpoint is aspecial server powered by SRAM instance. HLS, HDS, Smooth, RTSP, RTMP, Icecast, Shoutcast and DASH protocols are supported withSSL/TLS for HLS, RTMP and RTSP. Peer-to-peer streaming Supported by SRAM. SRAM can be used as an origin for various streaming scenarios. One of them is HTTP peer-to-peer streaming. This technology allows off-loading origin server or delivery network byexchanging media data between viewers. Live streaming: Live Streaming is all about your bandwidth! This feature is apt for organizations covering events all around the globe and being more mobile in collating news and usingit as live breaking news. VOD allows subscribers to view programming in a real – time or download programs and watch later. If large number of consumers demands multiple programs on daily basis, the total amount of data involved can overwhelm network resources. Here is the simple technology used by SRAM CDN called store and forward, which means we store programs in a geographical distributed server and provide programs to local users upon request. Allow people connect only from designated countries. Restrict access per list ofcountries. Set up IP ranges allowed or denied to view media. Set up a number of simultaneous connections. Set up bandwidth for connections. Control streaming behaviour according to your business logic as you need. Stability Is Tested Via Extreme Automated Testing Procedures. On-Air Playlist Editing. Add, Remove Or Reorder The List Of Media Files During Playback. Container In The Same Playlist). Seamless File Switching: Start Playback of A New File Without Any Delay. Main Application And Will Auto-Recover On Fail (I.E. Bad File). Seamless Switching Between Media Files and Live Video, URL Inputs. Media Trimmer and Splitter. Non-destructive Editing For Each And Every File in Playlist. On-The-Fly Configuration (Add, Remove, Reorder). Changing Of The Item Properties (Including Items That Are Currently Played). 24/7 Playlist Items Scheduling In Real Time. All Of The Input Sources (Any Format) Can Be Converted Into A Specific For A PlaylistFormat. Virtual Source Support (Enables The Output To Be Available As DirectShow Source Filter IfThis Stream Is To Be Used With Third-Party Applications Such As The Flash Media LiveEncoder). Seamless Ingest From Professional Video Capture Boards, Low-Latency Capture Integration with Blackmagic Design, Stream Labs and Deltacast. Design, Stream Labs and Deltacast. nt. Compositions Support for Easier Overlay Design Management, Smooth Transitions between Compositions. Smooth Change of Item Size, Position, Transparency, Background or View Area. Item Movement, Acceleration, Fade In/Fade Out and Entrance/Exit Effects, ConfigurableAnimation Sequences. Unlimited Number of Text, Image or Graphics Items to Overlay. Smooth Item Edges For Better Display On Low-Resolution Devices. Scaling or Cropping Of Input Video to Squeeze into an Overlay Scene. Special Text Items for Time & Date, Time Code, and Frame Number Overlays. Change Item Properties (Text, Font, Size, Color, Etc.) during Playback. Scaling Without Quality Loss (For All Available Item Types Except For Raster Images). Several Scaling Modes with Automatic Adjustment to the Input Video's Aspect Ratio. Textures Support for Text or Graphics Fill, Outline, and Background. Item References To Save Resources And Simplify Management/Control. Interlaced Video Support (For Smooth Transitions, Movements, Etc.). Overlay Custom Dynamic Images (Such As 3D Animations). Grouping Of Items for Complex Overlay Designs. Z-Order Setting For the Video Stream. Acceleration during a Change of Item Position. Smooth Fade-In/Fade Out Of Moving Items (Such As Crawls and Rolls) Via Custom ViewAreaMasks.